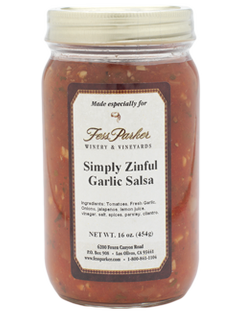 Pear tomatoes, coarsely chopped marinated garlic, herbs, peppers, zesty spices and a generous amount of Zinfandel wine (hence the name Simply Zinful). No oil, no sugar & completely fat free. 16 oz. jar.